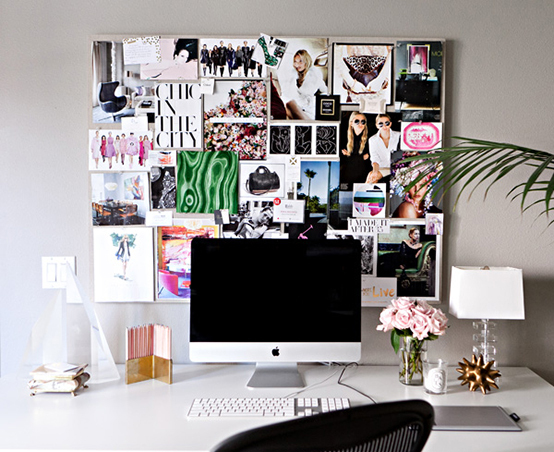 Love the office inspo! 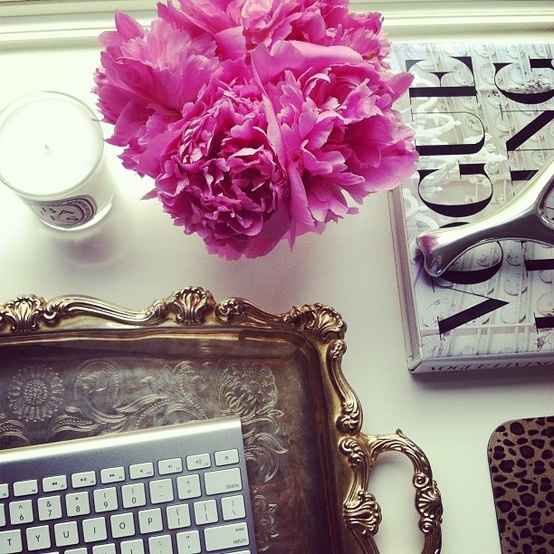 I would love to set up my home office as well... Our kitchen table just isn't cutting it! I love Amber's office! You need one, so do I! such pretty eye candy. No doubt yours will end up fabulous! I can't wait to see what you do. I love all the inspiration pictures. 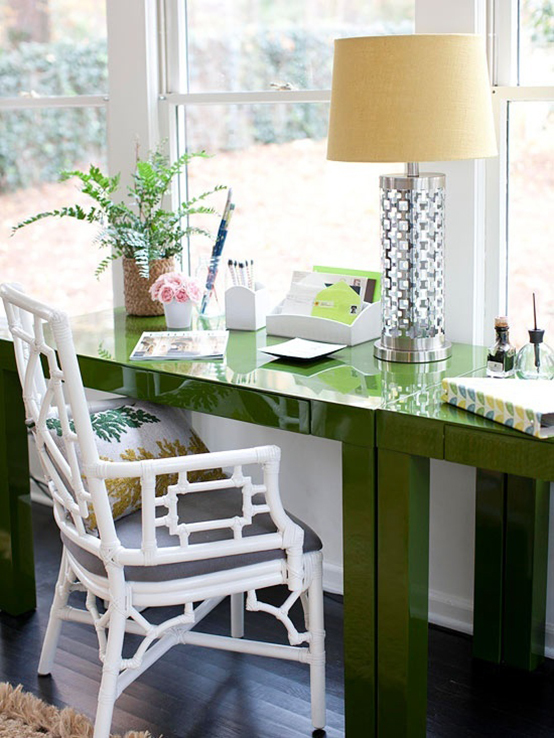 That green desk in the first one is fabulous! Gorgeous! 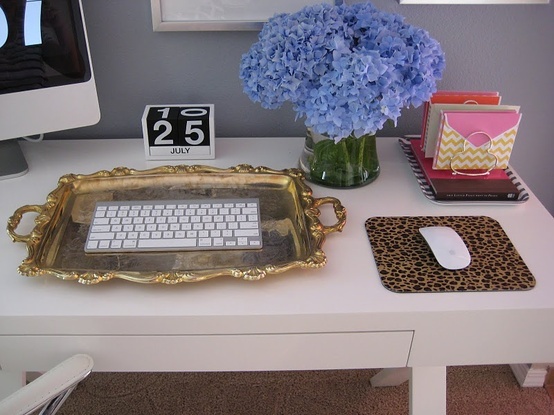 I love the idea of putting a keyboard on a vintage brass tray! Such a fun way to glam up a computer! 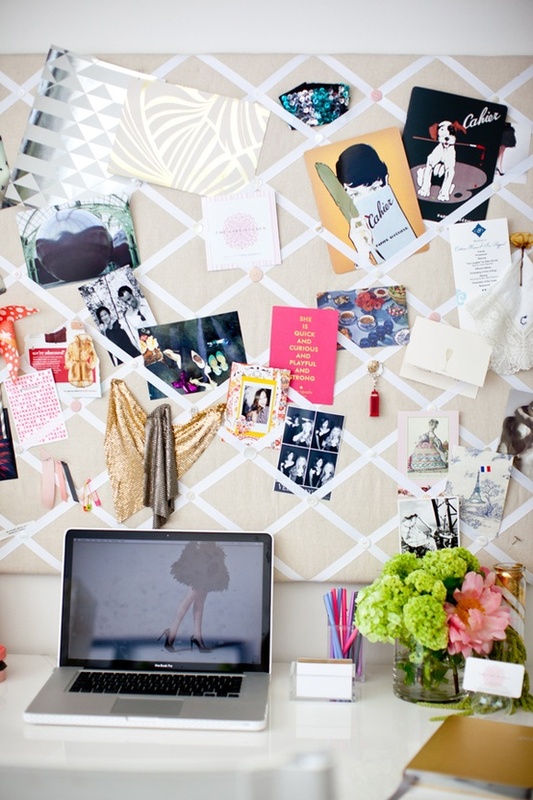 I so wish I had a room to my home office. I just have a small nook in our kitchen with a desk. Can't wait to see what you do I know it will be fab! That first image rocks my world. Absolutely. Has me considering painting my current desk kelly green. Obsessed! Yes! How exciting! Can't wait for an office of my own! Love your aesthetic! You will make for a BRILLIANT designer. Can't wait to see the BIG things that happen!